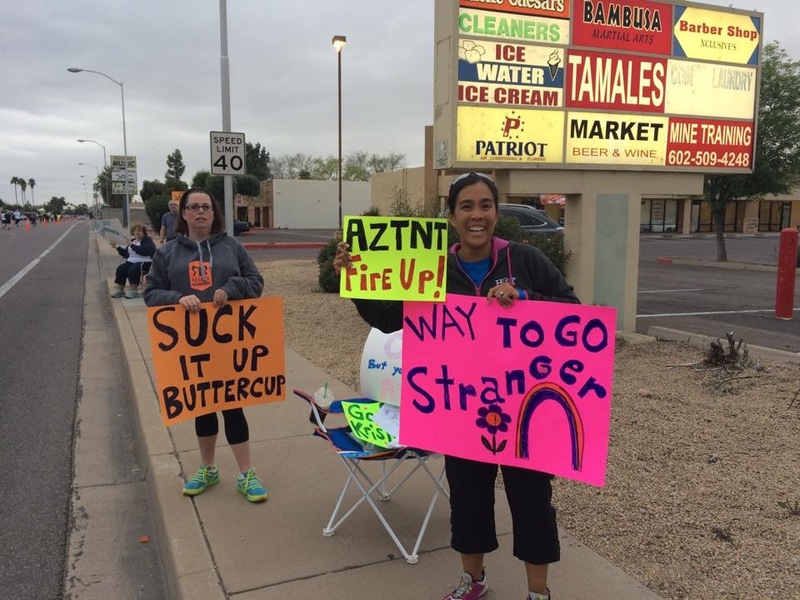 All the cool kids were running the Phoenix Marathon, so my BRF friend Elaine and I decided to cheer for our friends and random strangers! 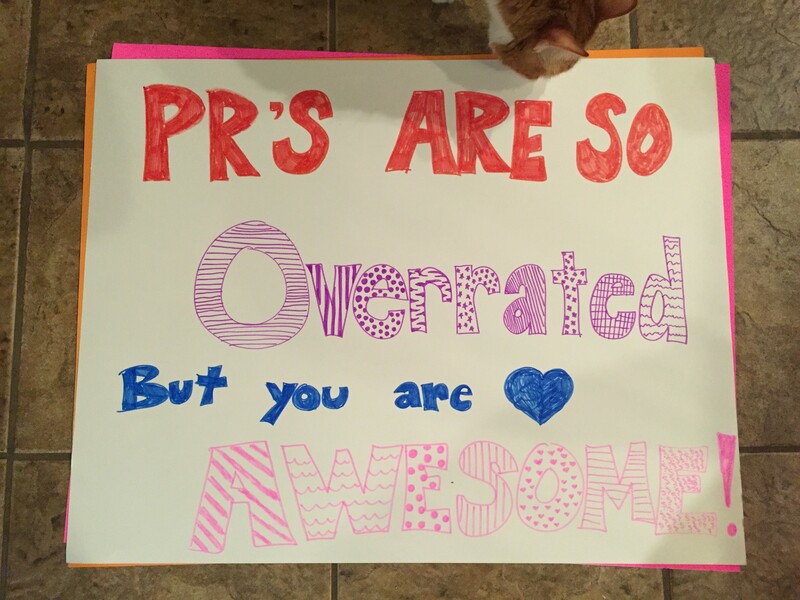 We made signs to support our Run Club friends who were running the half. We also came up with larger posters for motivation. And I can’t forget my AZTNT friends! We planned our morning based on predicted paces and found a the perfect spot between miles 6 & 7 for the Half Marathon. We were able to see the first half marathoners come through! I wasn’t fast enough to get the picture of the men’s half leaders. We saw the woman’s half marathon leader with her entourage! After that the steady stream of runners came through, so we went into cheering mode and I didn’t get many pictures. 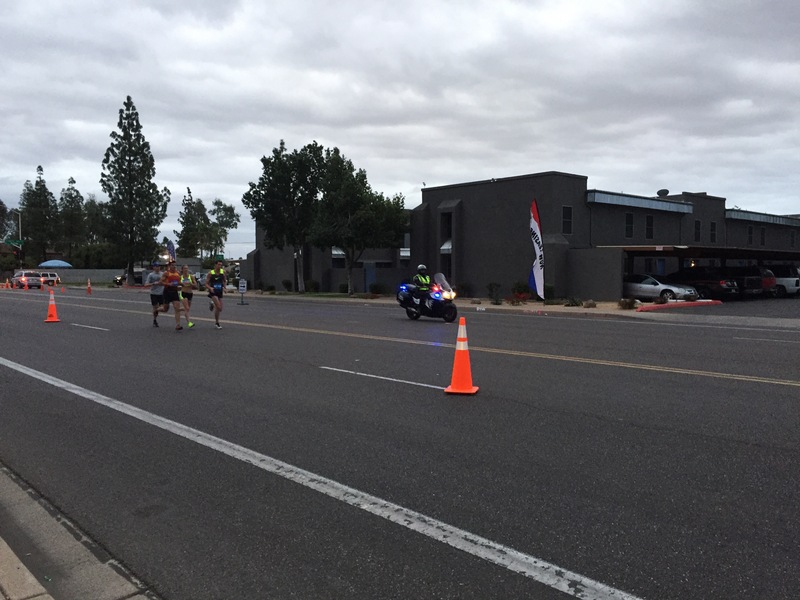 One of the AZTNT runners snapped this picture of us cheering on course. And our friend Meg got this selfie! We cheered for a little bit more before we hustled back to the finish line. We just missed Cristina as she crossed the finish line, but we found a great spot to cheer as the runners approached the finish line. We had a blast cheering for the racers as they approached the finish line. Our friend Kristen looked strong as she approached the finish to her first half marathon! I’m not coordinated enough to take pictures and cheer, but I did remember to take this selfie with Jenny (runnylegs). We had a chance to see yell “Happy Birthday” to a Michelle as she approached the finish and we saw some amazing runners qualify for Boston! Some of those marathoners have some strong kick at the end! After our friends crossed the finish line, we tried to catch up with them! Even though we didn’t run it, we had the best time. These distance events are grueling and you can see the determination in their eyes. 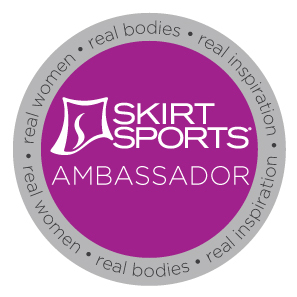 It’s was my first time as a dedicated cheerleader, but I always find it inspiring and motivating to watch the athletes focused on their goal. I had a few friends that DNF (did not finish) yesterday’s race. I’m so proud of them for starting their race and knowing when to push and also when listen to their bodies. These highs and lows are what make us come back for more. I’ll definitely be back for Phoenix next year. Either, ready to run or with more cowbell. 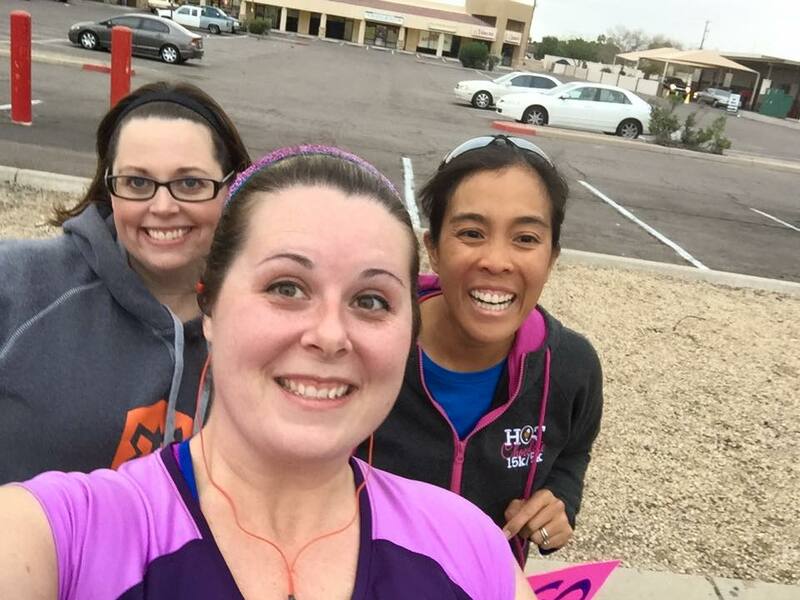 Posted in RacesTagged cheerleader, Half marathon, marathon, PhoenixBookmark the permalink.